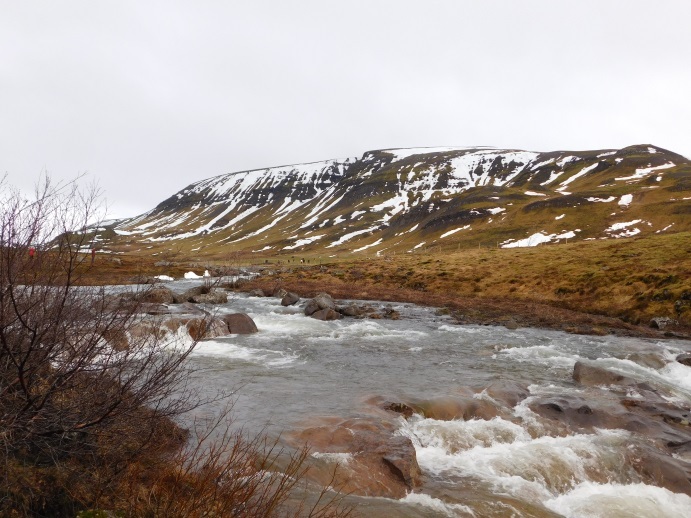 The northern latitudes of my story’s fictional world were inspired by Iceland’s geography and climate. Granted that before the Iceland Writers Retreat, I had never set foot on that subarctic, geologically active European island. However, I had fallen in love with it after watching the Iceland episode of Art Wolfe’s “Travels to the Edge” on PBS. Since then, I’d been studying photographs and researching whatever I could on Iceland’s weather, natural landmarks, and so on. Thanks to the retreat, I had the opportunity to visit Iceland for the first time. And in addition to attending writing workshops, I was able to take a countryside tour that put me right there, on the ground of my story world, hearing and smelling and seeing an environment much like where I imagined my characters living. Regardless of the genre we write – be it contemporary, historical, or speculative fiction – chances are our story’s setting might be a real place or a fictional world inspired by a real location. And in order for us to recreate that setting in a story, we should consider the “how” and “why” of its existence and understand how it influences other aspects of the story. One of my favorite bits of worldbuilding advice comes from fantasy author N.K. Jemisin: “Build your world from the ground up – literally.” This can also apply to settings for stories in other genres. By learning how a real-world location “functions” above and underground, as well as why it functions in this manner, we can ensure that our story’s depiction of that setting is not only realistic, but also factually accurate. What are the setting’s latitude and longitude in the story’s world? What types of weather or seasonal changes does the setting experience as a result? What types of terrain (mountains, tundra, forests, etc.) comprise this setting? What makes their existence possible (tectonic plates, latitudes, soil conditions, etc.)? What are some of the setting’s natural landmarks? How did the area’s geology, climate, etc. form these landmarks? Does this setting experience any seismic, geological, or meteorological phenomena? If so, what? Why are these phenomena possible in this location? What kinds of wildlife (plants, animals, etc.) are found in this setting? Iceland sits on two tectonic plates (Eurasian and North American) that are slowly drifting apart, thus causing the island’s earthquakes, volcanoes, and geysers. Despite its latitude just south of the Arctic Circle, Iceland has a relatively temperate climate because it lies in the path of the North Atlantic Current, which directs warm water northward from the Gulf Stream. This leads to cool summers (10 to 20 deg Celcius, or 50 to 68 deg Fahrenheit) and mild winters (-1 to 5 deg Celcius, or 28 to 41 deg Fahrenheit) compared to other countries at the same latitude. Iceland’s rich, nearly-black soil is comprised of andisols, which form from the weathering of volcanic materials such as ash and are typically found in areas with cool temperatures and moderate to high rainfall. What’s worth remembering is that a setting’s climate and geology will determine the geography, biodiversity, and other natural factors. For example, Iceland’s soil is a result of its climate and geological activity. If Iceland had warmer weather and sat in the middle of one tectonic plate instead of on the edge of two, its soil would be different. So would myriad other aspects of its environment. This is why it’s crucial to understand how or why a setting has its distinctive features, and how any changes, additions, or losses can impact that setting as a whole. How Does Setting Influence Other Aspects of the Story World? Because of its climate and island location, Iceland’s cuisine primarily consists of seafood, lamb, dairy products (yogurt, cheese, etc. ), bread, and root vegetables such as potatoes and rutabaga. Iceland is one of the world’s leaders in renewable energy. Thanks to its volcanic activity and abundance of water (ocean, rivers, waterfalls), the country generates 100% of its electricity and about 81% of its primary energy needs (heating, transportation, etc.) through geothermal and hydropower sources. Most houses in Iceland are made from concrete, due to the island’s lack of native trees. Older buildings were constructed of stone, turf, and (in rare cases) timber. If you’ve read Angela and Becca’s Urban and Rural Setting Thesauri, you’ll know the importance of sensory details in setting descriptions. Sights and sounds are usually the first ones we think of. But what about smells, tastes, or textures? They can enhance the reader’s experience beyond what’s seen and heard, and make the setting seem vividly real. Sights: What kinds of objects, natural features, and colors stand out in this location? What tiny details might some people overlook? Sounds: What noises, voices, etc. can characters hear in this location? Are these sounds natural (leaves rustling, waterfall roaring) or manmade (the drone of a vehicle motor)? Textures/Sensations: What does the character touch in this setting? How does it feel? How about the ground/floor under his feet or the air indoors or outdoors? Smells: What fragrances and odors can the character smell? Are they natural or manmade? Pleasing or off-putting? Fresh or stale? Are any smells food-related? Tastes: Does the character eat or drink anything in this setting? If so, how does it taste? Do any strong scents leave an artificial taste in the character’s mouth? One of the most unique sensory experiences I had during the Iceland Writers Retreat was at Deildartunguhver, Europe’s most powerful hot spring. 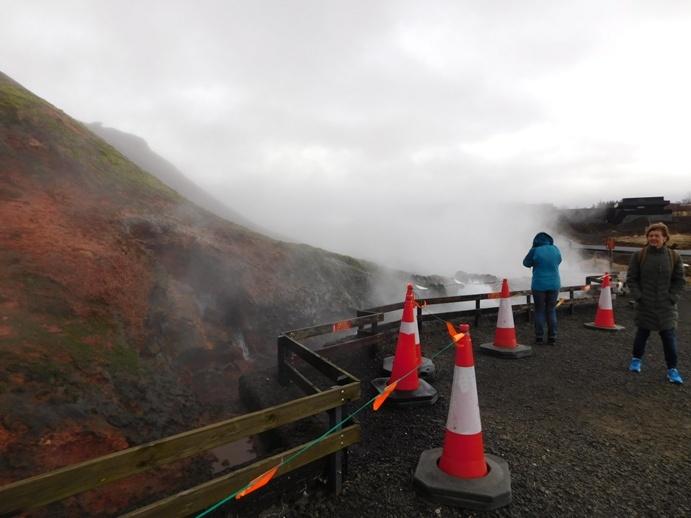 As I stepped off the bus with the rest of my tour group, I immediately noticed plumes of white steam rising from the spring and a sulfurous (“rotten egg”) smell. The most intriguing details, however, greeted me when I stopped at the spring’s safety gate. There, I found spring-green moss growing on the reddish-brown rock, heard the hiss of steam and hot water, and felt the air grow humid and slightly warmer compared to the Icelandic April chill. Water droplets pelted my clothes as a burst of wind kicked up, and it was impossible to tell if it was raining or if Deildartunguhver was “spitting” at us. Now, think of how vivid your reading experience would be if those details were included in a scene set at a hot spring. They would make you feel like you were actually there, wouldn’t they? Are any of your stories set in or inspired by a real-world location? What research have you done (either by traveling or reading/interviewing) to capture that setting as completely as possible? Do you have any other tips or suggestions to add here? Sara is a fantasy writer living in Massachusetts who devours good books, geeks out about character arcs, and drinks too much tea. In addition to WHW’s Resident Writing Coach Program, she writes the Theme: A Story’s Soul column at DIY MFA and is hard at work on a YA fantasy novel. 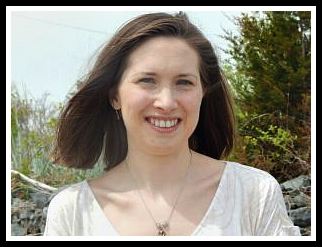 Find out more about Sara here, visit her personal blog, Goodreads profile, and find her online. This entry was posted in Resident Writing Coach, Setting, Uncategorized. Bookmark the permalink. This is so cool! I felt this way when I went to Canada to research Red Hood. ^ ^ I hadn’t thought of the soil and tectonic plates … Good tips! That’s so true, Sharon! You never know when that trip or the setting in general will come in handy. 😉 Thanks for commenting! Having a list of questions to go through and check off really helps me to dive deeper into settings and locations. You have a great list of questions here, and I really enjoyed how you used Iceland for an example and shared more of your experiences during your time there! I didn’t know Iceland had a milder climate and that being because of the North Atlantic current. The Deildartunguhver “spitting” at you was a cool detail and one you probably wouldn’t find via internet research. That’s why I’d love to take a trip to every country or city that resembles my stories’ settings–to gather all those extra details! What a great post Sara! The more I hear of your Iceland trip, the more I feel this restlessness within myself and travel! To see the world and be inspired by it! That’s a great example from your own writing experience, Faith. Having that knowledge of how a place looks, functions, and “feels” is really important, and it’s good that you strengthened your awareness of all that by visiting those areas. I know the feeling, because that’s how I feel when I think about going back to Iceland. I don’t want to go back – well, I do “want” to go back – but it’s more like I NEED to go back. 🙂 Thanks for commenting! A really enjoyable and informative article, Sara – the bit that stuck with me is the quote you used. While I’m always reasonably aware of the soil type on the planets my characters inhabit/visit, I’m aware that I don’t always consider it when writing stories set on Earth. And it’s an oversight I intend to fix – thank you! Thanks, Sarah! Did you notice who that quote came from, btw? 😉 N.K. offered that advice during the worldbuilding seminar she did at Writer’s Digest Conference in 2015. It was right before The Fifth Season came out, so she spoke a lot about geology, geography, climate, etc. and how that’s crucial in worldbuilding. Not surprising, given what happens in The Broken Earth Trilogy, right? I hadn’t really thought of soil type, either, until the Iceland trip. During an afternoon break on my second day there, I walked from the hotel to the National Museum of Iceland and realized just how dark the island’s soil is, especially when it’s moist. That made me curious, and so I researched it once I got home. Have you ever seen photos of some of Iceland’s beaches, by the way? Many of them have black sand instead of the gold or pale shades we’re used to seeing. It’s stunning. YES!!! I love to experience as many settings from my story as possible. During NaNoWriMo (last year), I toured an old, Victorian-era mansion. My mom and I had already planned to go there long before I decided to do NaNoWriMo. But while I was there, I got inspired, and so now a main setting in the book I was writing (which is now in the revision stage) is based off of this mansion. It was soooooo much fun writing it! That’s great, Talia! And your experience is a great example of what this post discusses. Do you feel as though the story’s setting is more real and believable because of your visit to the mansion? Thank you, Mary! I’m so glad you enjoyed it. 🙂 And I think the story world will be much richer as a result of this trip. I’m so grateful that I went – and I already can’t wait to go back! Your New Zealand story is a great example of what this post talks about, Julie. And you’re welcome about the Hollywood hills reminder. 😉 Best of luck to you, too! Excellent advice! 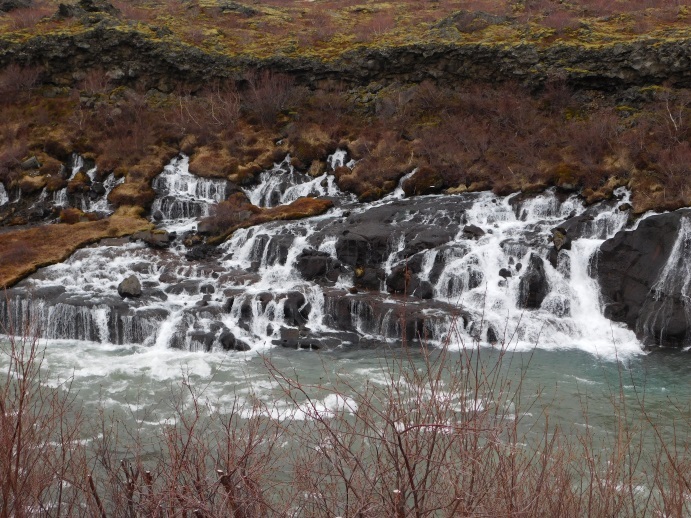 How fortunate for you to attend a writing workshop in Iceland. I set my Amanda Travels series for children in real locations. I always visit the place before writing the story, taking notes and tons of pictures. I like your suggestion of using all the senses. All great tips. I love to write about where I’ve lived – usually after I’ve left the place. For selfish reasons, it keeps the place alive for me. For story reasons, I can put a lot of setting detail into the story. Kristina: That makes sense. By writing about a place after you’ve left it, not only are you familiar with the element and sensory details that can be included, but you can revisit it anytime afterward. Writing about places is a great way to keep your memory fresh of it. Thanks for reading and commenting! I love this post, Sara. Angela and I tried to visit in person as many of the locations in our Setting Thesaurus books as we could so we could gather all of those multi-sensory details. When it comes to picking up on these fine details, nothing beats visiting the actual place (when you can swing it). Thanks so much, Becca. And you’re right: Not every writer has the opportunity, for various reasons, to actually visit real-world locations that their story’s setting is based on. Sometimes they might have to go someplace closer to home that’s similar to that location, or rely mostly on research. But if they have the chance to visit the real place, their experience there is going to make their story even richer for it. Very thought provoking and helpful. Thank you Sara. I love to set my stories in real locations because it gives me a deep sense of reality. My first novel was set in Concord, Massachusetts and I had the wealth of the literary history there as a setting for my characters. Another novel was set in Boston and on Mt. Greylock–the idea of a supernatural mystery set on the summit of a mountain was a wonderful stimulation to me creatively. Of course I went there and researched the locations, brought back natural elements like leaves and rocks and kept them on my writing desk. Back on subject: Thanks so much for sharing your experience with researching your story’s settings, Paula. Those are perfect examples of what I was talking about in the post. And lucky you that you were able to bring home some of the locale’s natural elements. I would have liked to have done the same, but between Icelandic law and international customs rules, I had to be very careful about what I brought home with me.